This month we wanted to dedicate this post to one of our partners, the National Search Dog Rescue Foundation! The National Search Dog Foundation (or SDF) is on a mission to recruit dogs from across the United States that can be trained in search and rescue techniques to aid in the rescue of injured and/or trapped persons during a disaster. The eight to ten-month training program teaches the dogs how to navigate difficult terrain, pick up on the faintest of scents and locate people no matter the circumstance. At the end of the training the dogs will be partnered with a handler from a Search and Rescue team for a quick two week introductory period. This is to confirm they work well together before going off to their new home to perform what they’ve been trained for. Due to the professional training these fur balls receive the time it takes for them to attain FEMA Advanced Certification is greatly reduced. 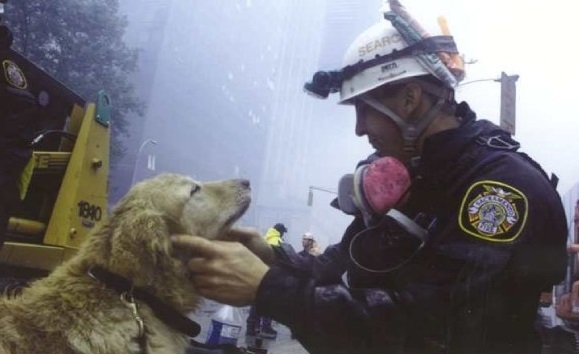 These canines are the real deal and save countless lives whenever disaster strikes! One of the most amazing things about this organization is how they recruit their dogs. SDF recruits primarily from shelters, rescuing pups, some less than a day from scheduled euthanasia, train them up and give them a second chance at life. Any dog that is unable to complete the rigorous training is trained as a service dog to help people with disabilities or fostered into a loving home, ensuring that they never have to see a shelter again. SDF keeps tabs on every dog that has gone through their training, pass or fail, to ensure that they are well taken care of. If anything changes they will take the dog back so they do not have to re-enter a shelter. Zignature is so proud to provide these hard-working pups with a nutritionally balanced diet to help power them through their busy days. Please feel free to go take a look at their page for more information! With that said, unfortunately SDF has taken a hard blow from the Thomas fire in Ventura county. Much of their training courses were lost to the flames, but thankfully everyone, including all the canines, were able to get to safety without any harm. If you are interested in supporting this wonderful organization as we do, please see the link below about ways you can help out! In the future we’ll be featuring SDF by getting some training tips for you to use at home, showing a little about how these dogs are trained and much more! Stay tuned for much more!